Mobile proximity payments are gaining a lot of traction lately. According to a mobile proximity payments report by eMarketer, the US alone is projected to witness a growth of 201% in the total value of mobile payment transactions this year. TrendForce, a Taiwan-based analyst firm, states in a report that 2016 will see a 37.8% year-on-year growth in mobile payments with consumers using their mobile phones to spend a total of US $620 Billion in 2016 as compared to the US $450 Billion in 2015. The research also predicts that total mobile payment volumes will climb up to the US $1.08 Trillion by 2019. The rise in mobile proximity payments can be credited to the sheer ease of making cashless and cardless payments, plus the ability to view account and balance information in real-time. This proximity-based point-of-sale (POS) transactions, that require a simple action of tapping, waving, or another similar functionality, on your mobile phone for payment, are revolutionising traditional POS payment acceptance terminals. It comes as no surprise that businesses are busy integrating location-based technologies such as iBeacon with traditional POS systems to redefine their relationship with customers. Given the imminent advantages of iBeacon technology, businesses are leveraging beacons to revamp their POS systems to deliver quick, safe, and easy mobile-based proximity payment solutions. So, we bring you a post in which we talk about the integration of beacons into POS systems and how three leading brands are doing it. POS or PoS, an abbreviation for Point of Sale or Point of Service, applies to the checkout/cashier counter in the store, or a location where such transactions can occur in a retail setting or a store. It can also include touch-screen displays, electronic cash register systems, barcode scanners, receipt printers, scales and pole displays. These systems have made huge advancements since the replacement of mechanical cash registers of the first half of the 20th century with new computer-operated registers introduced in 1973. Now they include fully integrated accounting, inventory management, open-to-buy forecasting, customer relationship management (CRM), service management, operation reporting and payroll modules. Normally, in the case of mobile payments, a consumer enters his/her credit card number/debit card number or bank account information when he/she downloads the payment application of his/her choice. Upon entering a store, the user launches the app and the cashier at the store scans it. The user taps his/her smartphone on the pay pad and selects the preferred app and sends the money with a few more taps. The store receives the payment in a way similar to swiped a credit card or processing an online order. If your POS system is integrated with beacons, the above-mentioned process becomes all the more enhanced. Unlike NFC, where you need to literally make contact with the terminal to transmit data, beacons have the capability to communicate with the installed app wherever even if you are nowhere close to the payment counter and whenever you are in a store. If you are a retailer, you will find beacons to be extremely helpful. For instance, if you are offering special discounts to your loyal customers, you can start by simply putting a beacon on the payment counter at the exit. When a loyal customer enters the beacon’s range, the beacon will trigger a message displaying a unique coupon code, which would be tied into your store’s entire POS system. Now the customer would only need to reach the counter and avail the discount offer. One of the biggest advantages of processing payments via beacons is the payment freedom that a user gets to enjoy. It allows users to connect to a POS terminal or the cloud, from wherever they are in a store. Thus, no matter how crowded it is, the customer can avoid waiting in long queues. This can also have a direct impact on sales and hence on overall store revenue. Also, most smartphones today come enabled with BLE, making it easier for merchants and consumers to adopt this payment solution. After Paypal’s experiments with geo-location leveraging GPS and Wi-Fi ended in a poor experience for consumers due to device battery drainage, the brand piloted a new payment method in its on-campus cafe that uses BLE beacons to enable hands-free payment. To use this proximity mobile payment service, you need to download the PayPal app and opt-in for hands-free check-in and payments. Once this is done, whenever you enter a store, a beacon would let a retailer’s point-of-sale (POS) system know that a customer is on site. At checkout, the customer’s picture and the name are visible on the POS system’s screen so that the customer is greeted well. Mobile payment account is similarly available within the store’s POS terminal to complete the transaction. In case you enter a store and decline or ignore the check-in prompt, no information is transmitted to PayPal or the merchant. This keeps the privacy and security concerns at bay. Google decided to explore other alternatives of mobile payment solutions, such as ‘hands-free’ payments, by testing a beacon-enabled mobile app called ‘Hands-Free’ that consumers can use to make and confirm purchases at participating retailers. 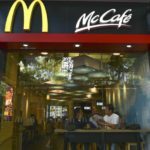 Testing of the app began in the southern San Francisco Bay area with merchants such as McDonald’s and Papa John’s participating. Hands-Free uses Bluetooth low energy, Wi-Fi, location services, and other sensors in your phone to detect whether you are near a participating store. You need to download the app and set it up with your credit card information and photo. When you reach the counter to check out, the beacon placed at the counter detects if your device has the Hands Free app or not. In case your device has the app installed, all you need to do is tell the cashier “I’ll pay with Google”. The cashier then confirms your identity using your initials and the photo you’ve added to your Hands-Free profile to ensure the store is charging the right person. You also get notifications after every purchase and are alerted of any unusual activity. You can, therefore, pay hands-free, without having to grab your phone or even launch the Hands-Free app. The app is currently available for Android and iOS devices. Google plans to offer Hands-Free in addition to Android Pay to its consumers. The company is adopting a wait-and-see approach before they decide to move the app beyond the pilot stage and launch it. Clover, a leading cloud-based POS platform, integrated Apple Pay and iBeacon technology to create a sleek POS terminal. They introduced Apple Pay support in their platform and allowed merchants to leverage location context via the integration of beacons at Bierhaus. Each unit of the POS system is integrated with the cloud and pre-loaded with a set of tools which allows for a quick setup. You just need to download the Bierhaus app, use it while placing an order and choose Apple Pay for the transaction. When you enter a store, the staff is notified of your arrival via beacons and then they bring you the ordered items. This way you don’t need to worry about standing in a queue or signing a credit card receipt. Clover plans to make the app available for other merchants to download and customize for their businesses in the near future. The mobile payments ecosystem is expanding at an impressive rate. It is striving to effectively comply with top-notch standards of customer convenience and beacons are proving to be a catalyst for this change in the payment acceptance industry. New payments system are sure to promote new ways to shop with the use of beacons and smarter POS platforms connected to the cloud and smarter devices. 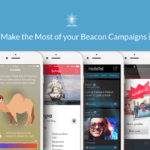 If you are planning a beacon pilot, take a look at Beaconstac, that includes everything you need to get started. Using Beaconstac you can set up your own campaign, without a developer’s help! Beacons vs NFC – Which Payment Technology Should Your Business Use?